Hehe. I'll start the retorts: Pot calling kettle black. I mean, Auburn paid me really well. So, for someone to pick Georgia over Auburn, that must have been a heck of an offer. Knowing schools cheat tarnishes my image of college football. I get the same feeling I had the day I found out wrestling was fake. So if they can do FBI wiretaps for NCAA basketball to try and root this out of the sport, why can’t they do the same for football? The FBI was investigating illegal activity involving the shoe companies and financial advisors. They weren't really investigating college basketball. Most of what goes on in college football isn't illegal. That's where basketball "screwed up", in essence. The apparel companies are so involved in the sport (much more so than football) and were at the center of the corruption. Football's way of cheating is much more simple and easier to keep off the grid. A booster (or an intermediary) gives a kid cash. Simple. Switzer learned from the Earl Campbell recruitment...go bigger FIRST. So you don’t believe the shoe/apparel companies and financial advisors are doing the same exact things with football that they were doing in basketball? We can’t be naive enough to think that it was only happening in one sport. There’s way too much money in football for it to not be happening. It’s just that nobody has come forward as a whistleblower yet. I doubt they are doing the same in football, there isn't an AAU system in football and that is where this all starts. Plus not many people wear cleats in their daily lives. There is widespread cheating in football, but it isn't centered around the apparel companies. Basketball sneakers still matter. The core of the scheme was Adidas paying coaches/agents off to sign with them once they left college. 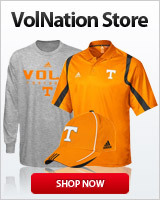 Actually, I seriously doubt that the apparel companies are doing the same thing in football. You have to keep in mind that identifying one guaranteed future pro star is much more difficult in football than it is in basketball. Further, they'd only need to incentivize the player for a year (give or take) in order to guarantee his cooperation when he turns pro. In football you'd have to not only identify a "can't miss" future pro bowler, you'd have to keep him happy for the next 3 years. Exactly. And it's not illegal for a booster to pay a kid. Hadn't thought about those angles either - both the easier identification of a superstar in basketball and the fact that elite basketball recruits are only there for a year. Because they would rather not know. NCAA is making too much $$$ off of football. I do, but I'm a trend setter.